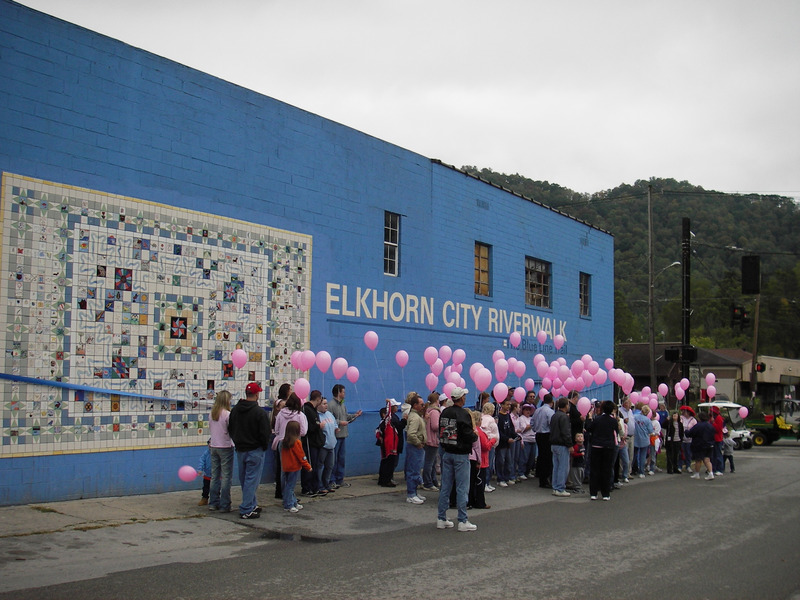 Elkhorn City is located on one of the most famous and well traveled bicycle Trails in the United States. 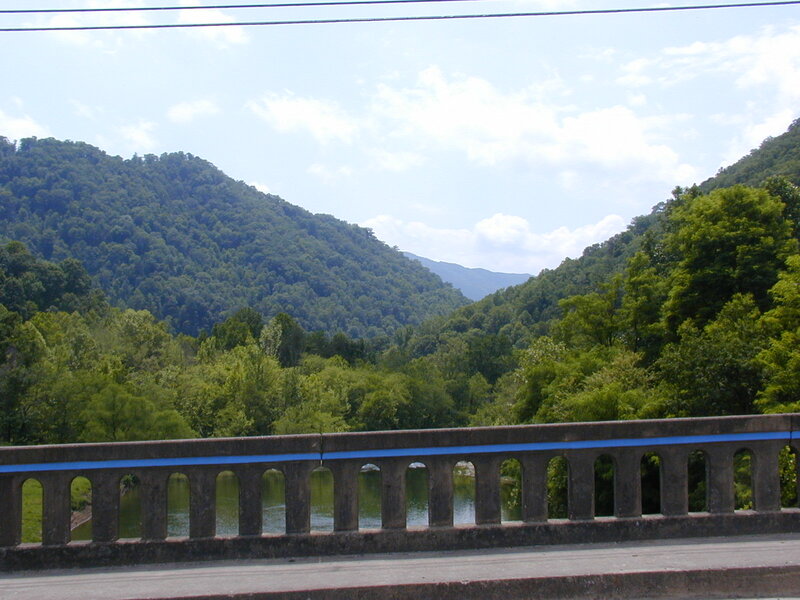 Lets take a bike ride on the Trans-America through Pike County! The Trail comes into town form the Breaks Interstate Park on Highway 80 (Patty Loveless Drive) The Trail turns at the traffic light and follows Route 197 (West Russell Street to Elkhorn Creek Road) to Ashcamp and Route 195. At Lookout the Trail goes across Poor Bottom Road up the mountain and down Chaney Creek Road to US 23. The Trail then follow US 23 North to Penny Road at Virgie going across Abner Mountain into Floyd County at Wheelwright. The TransAmerica Trail, also called U.S. Bicycle Route 76, was established by the Adventure Cycling Association for the celebration of the U.S. bicentennial in 1976. At that time, the organization was called Bikecentennial, a name many old-timers still associate with the TransAm Trail. This is still the greatest and most-travelled route crossing America. The trail starts at the Atlantic Ocean in Yorktown Virginia and crosses Virginia, Kentucky, and the mid west before reaching the Pacific Ocean at Astoria Oregon. The route passes through the Grand Teton and Yellowstone National Parks. Because it takes little-traveled back roads, the route is longer and hillier than if you took the major roads. The route is 4,262 miles long, plus side trips and detours which could add several hundred more miles. The Trail is noted for its focus on America’s heartland, scenic diversity, and historical interest. The Kentucky section of this national trail is more than 600 miles long. It runs west to east though the center of the state from rural Crittenden County at the Ohio River to the mountainous Pike County. A Map of the entire Transamerica Route across Kentucky can be found HERE! Here’s Your Sign … or Where are All the Signs! This is the next post in the Elkhorn City Trail Town series today I want to talk about the Pine Mountain Traill. If you want to read the first post in the series on the Blue Line Trail and Riverwalk click HERE. 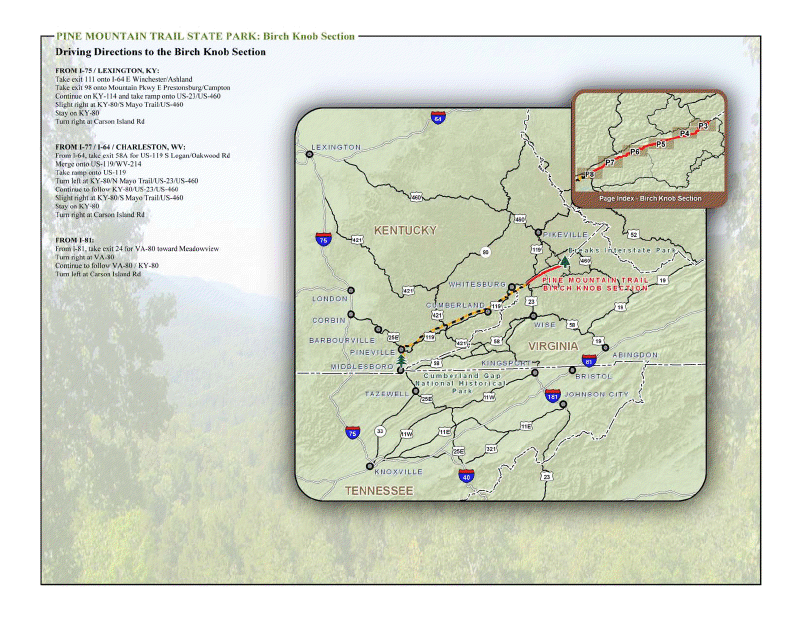 The Pine Mountain Trail is open with contiguous trail from the Breaks Interstate Park to US 119 at Jenkins, Kentucky. It is designated in two sections for a total of 42 miles. When traveling from North to South you begin in Elkhorn City and travel the ridge to Jenkins. 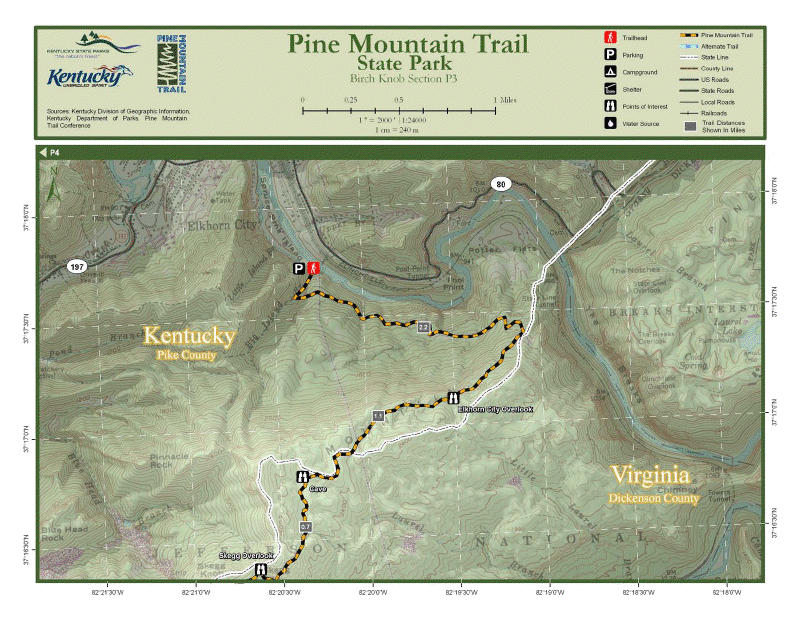 The Birch Knob Section of the Pine Mountain Trail begins at the Russell Fork trailhead in the Breaks Park at Elkhorn City, Kentucky and follows the Pine Mountain ridge line 13 miles to Birch Knob, the highest point on this section of trail. 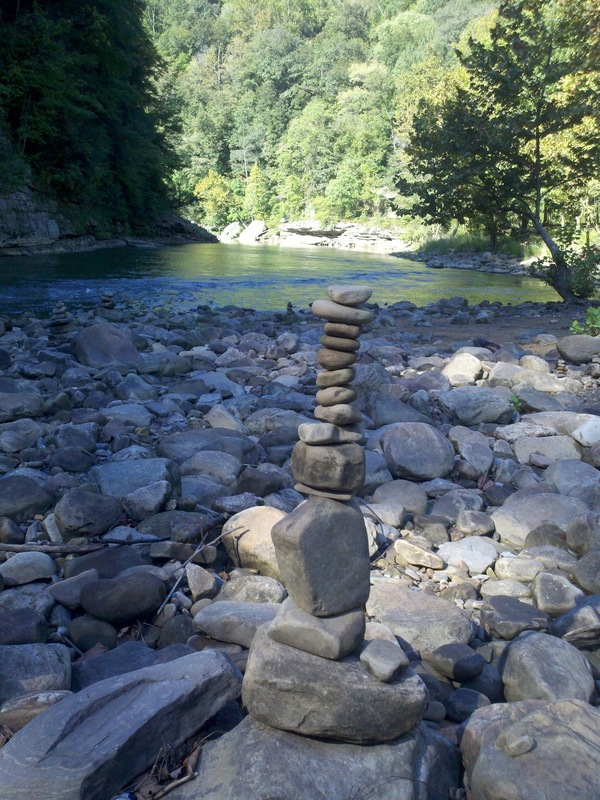 Water and primitive camping is available here with an overnight camp shelter. Continuing southwest for 13 miles is the trailhead at US 23 at Pound Gap at Jenkins, Kentucky. Elkhorn City sets at the northern most end of the Pine Mountain Trail, the Pine Mountain Trail head is at Carson Island near the Blue Hole pay lake near the border to the Breaks Interstate Park. Numerous people have been enjoying using the trail head for the past four years. I myself have seen hikers from all over the United States near the trail head and in downtown Elkhorn City. The trail from the trail head into Elkhorn city is Carson Island Road to Patty Loveless drive and into downtown Elkhorn City. 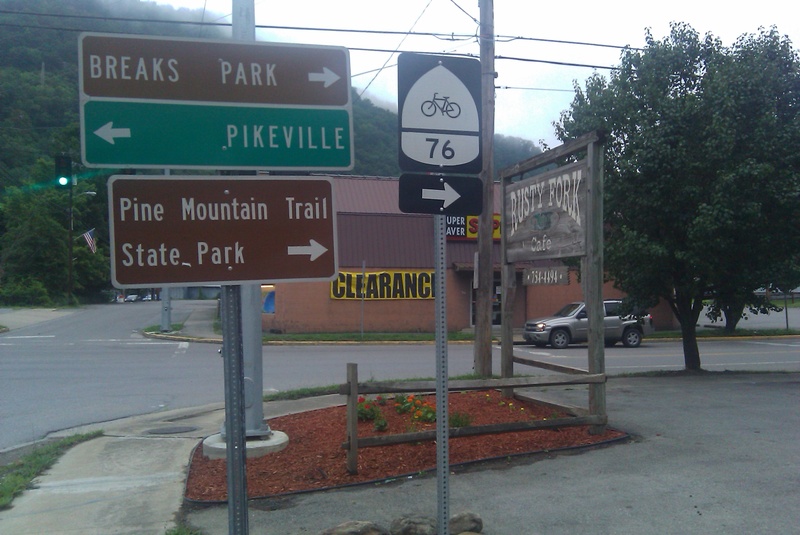 It’s at this point that the Pine Mountain Trail also intersects with the Trans-America Bike Trail and that the new Pike Energy Trail which is going to be the connector trail for the Great Eastern Trail leaving Elkhorn city on its way across Pike County to Matewan West Virginia. This is the first post in a series highlighting the Trails in and around Elkhorn City, Kentucky. The Elkhorn City River Walk—also called The Blue Line Trail, referring to the City’s railroad past—was constructed by local residents and artists from all over the world. The theme of this scenic 15 minute walk is the protection of the natural environment that residents hold dear. The entire community—children, youth, adults, and retirees—worked together to revitalize their town. The first stop is the (1) Red Caboose & Wm. Ramey Historical Marker and (2) Waterfront Park, a bird habitat with viewing decks above the Russell Fork River. An artist from Japan used stone from a local quarry and concrete to make (3) sculptural seating benches, behind the US Bank (4) The Nature Garden and Butterfly Habitat, designed by a California artist, contains native plants from the region. Ducks swim under the bridge and fish break the water surface as they feed. 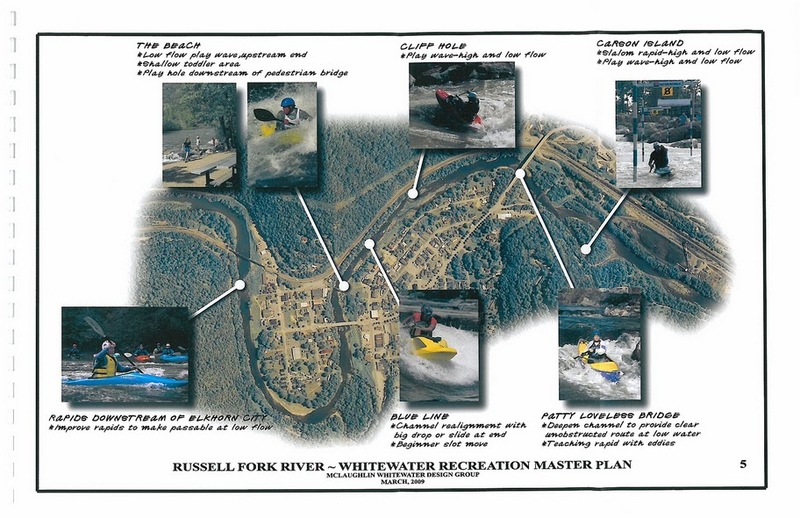 Fishing, swimming, picnicking, sunbathing and inner-tubing area is part of a day’s play here at the Waterfront Park. 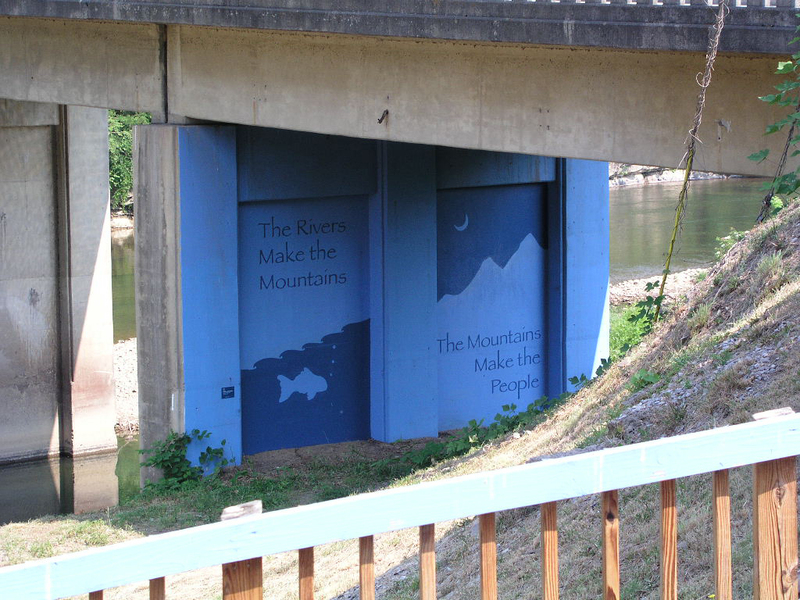 Don’t miss the (5) Children’s Mural with a child’s eye view of local nature as you head toward the Historic District via the (6) Walking Trestle Bridge across the river. Visit (7) the Railroad Museum on the other side and if you’re lucky talk to a retired railroad worker. Continue toward Main Street and the public library, a good source of family genealogy; (8) the Old Bank Building; and (9) the Artists’ Collaborative Theatre with its seasonal schedule of plays. Nearby is the Daniel Boone Historical Marker. Turn left and you are on Charles Cantrell Bridge, heading back to the Waterfront Park.